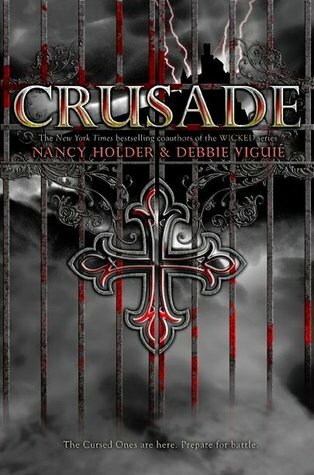 After reading Crusade, co-authors Nancy Holder and Debbie Viguié’s first title in a new young adult vampire series, we had questions. They created an impressive world. And if you read our review you’ll remember we were floored at how eerily real the vampires “coming out” event occurred. Luckily the ladies were willing to fill us in on the new series, the shocking parts of the book, upcoming witchery and more. 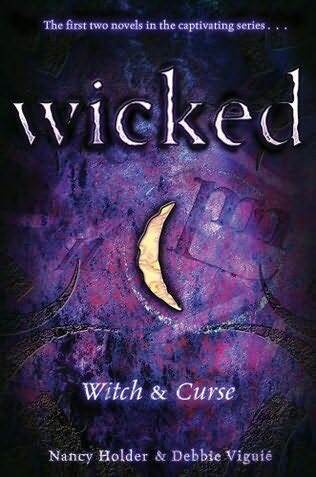 Vampire Book Club: What can fans of your Wicked series expect with Crusade? Debbie: This series has just as much action as Wicked and for Wicked fans, don’t worry, there is a witch in Crusade! NANCY: The villains in this story are vampires but they are allied with werewolves and magic users. We’ve gotten a lot of feedback that people are loving Skye, our witch. We love her, too. Vampire Book Club: Why did you two decide to go with vampires this time out? 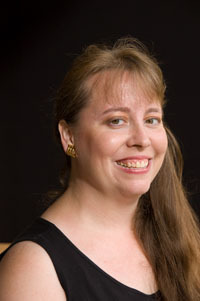 NANCY: We were invited to write a story for The Eternal Kiss, an anthology edited by Trisha Telep. We wrote “Passing,” in which we built an entire world where the vampires have waged war on us, and Hunters are trained to fight them. When we were finished, we realized we had the springboard for a new series. Luckily, Simon and Schuster agreed. DEBBIE: It just really clicked in that story and we had too much story to be contained in a few short pages. Vampire Book Club: One of the elements of the book I was most impressed by was the way the vampires ‘come out of the coffin,’ as it were. What spawned that idea? Did you want it to be eerily real? NANCY: It’s getting harder and harder to keep secrets! So we figured the vampires would agree that it’s getting impossible to hide their existence from us any longer. So they do a “first strike,” telling us they’re our friends. Which they very much are not. We really wanted it to seem real. We patterned Crusade after World War II. The vampires are the Nazis. Our hunters are the resistance. DEBBIE: We definitely wanted it to seem real. 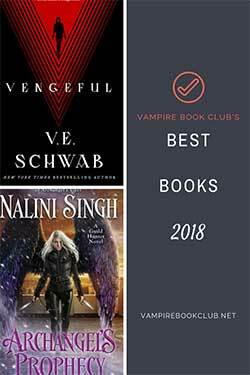 Vampire Book Club: What brought about the idea of one ‘saved’ vampire? NANCY: Just as in World War II, there were good Nazis, in our war, there is a good vampire. Only one (at least so far!) He doesn’t know why he’s good. I think that’s a fascinating topic–why are some people so evil, and some so good? How does that happen? DEBBIE: I believe that no matter what your programming is (genetics, upbringing) you can choose to be who you want. It might not be easy, but your destiny is yours to control if you choose to. NANCY: Yes. We put it in “Passing” and we kept it for the series. DEBBIE: We really liked the traditional view of a vampire as a creature of darkness, of evil. However, to every rule there is an exception and Antonio appears to be it. DEBBIE: Even in the darkest night there’s hope. NANCY: Could be, could be. Vampire Book Club: The betrayal Jenn experiences while home in San Francisco is massive. Was it hard to write? Did either of you have any hesitation about going so dark early on? DEBBIE: That was actually my favorite part to write because it was so horrific and so poignant. I did not feel any real hesitation regarding that scene. However, I can tell you that there’s a scene coming up in book two that we debated about and decided to pull back slightly from our original plan because it was just too much and there would be no forgiveness for the character involved ever. It happens in a church and is a key moment in the book and you’ll probably figure it out next year when you read it! NANCY: Yes, we did debate that element in book two back and forth. We decide to pull back. In the San Francisco section, man, that was so hard for me to write/deal with. Debbie wrote the first draft of that and I revised. I’m glad I didn’t have to go there first. Thanks, Debs! Vampire Book Club: How many books are planned in the Crusade series, and where can we expect the tale to go? DEBBIE: The series is planned as a trilogy. Where won’t it go might be a better question! 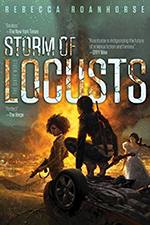 For our fans it should come as no surprise that there will be more exciting locales (such as Washington, D.C. and Russia, just to name two), more action (lots more Cursed Ones and humans will lose their lives), more betrayal, and more romance. NANCY: You’ll laugh, you’ll cry, you’ll kiss ten bucks goodbye! Seriously, we just turned in the second book and we have ramped it up. Many times in a trilogy the second book can read like what you need to get through to get from the really cool setup to the big finale. We worked really hard to up the stakes (sorry) and make things go from bad to worse. Cuz, y’know, that’s our job. Vampire Book Club: Will the next book delve into what’s happening with Skye and the other witches involved in battling the Cursed Ones? NANCY: Some interesting things happen to Skye, and in Book 2 we set the stage for more witchery in Book 3. You know you can’t keep us away from magick! DEBBIE: Skye is an awesome character and her struggle is a very important part of this series. She’s a hunter who doesn’t want to use offensive magick, only defensive. How she copes with that plays a big role later on. Vampire Book Club: As mentioned, we like Jenn and Antonio together, but which Crusade characters do you feel closest to or are your favorites? DEBBIE: Jamie is really fun to write for, but Holgar is my favorite. The great thing about Holgar is that he deals with his own baggage in a completely different way than the others. He’s got a twisted sense of humor and we get to see even more of that in the next book. Vampire Book Club: Finally, we have to ask: Which of you adores Europe? We went overseas in the Wicked series, and again in Crusade. DEBBIE: Both of us adore Europe and travel in general. Nancy has actually lived in both Europe and Asia. Some of the settings one or both of us has actually visited, others are more wish fulfillment. I really want to visit Russia which seems so exotic to me, so part of the action of book two takes place in Russia. NANCY: What Deb said. I lived in Germany and I’ve traveled a bit in Europe although I’ve never been to Spain. I would really love to go. I also lived in Japan, so the Eriko bits about Japan are mine. We had help with the Spanish, Danish, and Russian from people who are fluent. Debbie and I are both Disney kids and we have partied together at Disneyland a few times. We love the Italian operatic metal group, Rhapsody of Fire, and we dream about going to one of their concerts. Maybe we should send the team there! Vampire Book Club: Big thanks to Nancy and Debbie for indulging our questions. If you are looking for a new YA series with plenty of action and where vampires are the bad guys, we suggest you pick up Crusade from The Book Depository or Amazon. OMG! i just finished crusade and it was fabulouus i absolutely love it and im only 12 going on 13 on febuary 10 and sure this book had like one kind of adulty things in it but i managed lol i cant Wait until book 2 comes out and i absolutely love Antonio and Jenn and i hope they can be together too and if not im goin to cry,wait im babbling aren’t i? lol sorry i hope i didnt kind of spoil it for people well im going to stop typing and go stalk when the next book is coming out! awesome book nancy and debbie,love it,bye!